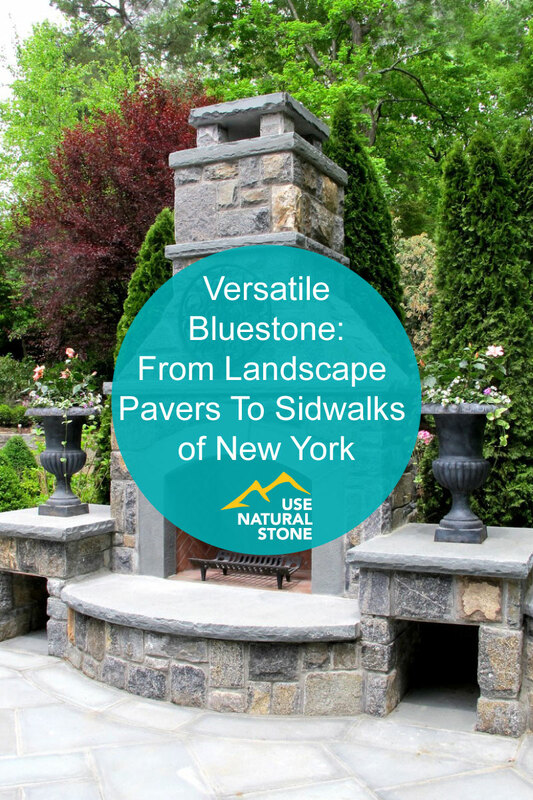 Once hewn by East Coast pioneers to build stone fences on their land, and later used for sidewalks and curbs from Boston to Washington, DC, bluestone has now become a popular choice across the nation for home patios, pavers, pool decks, and wall coping. Photo courtesy of Susan Schlenger. 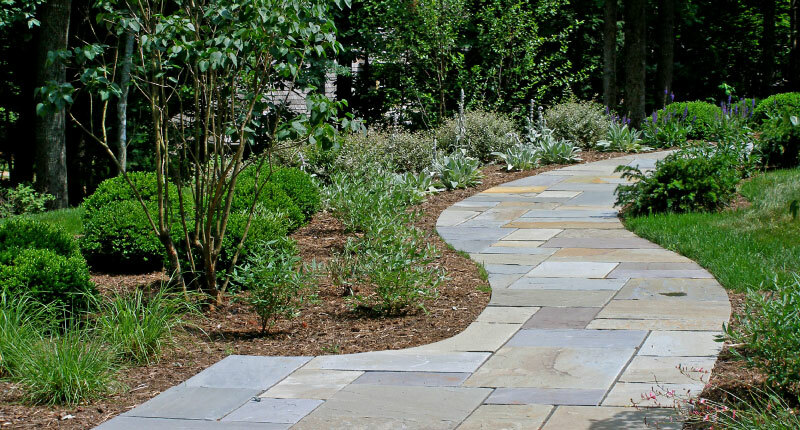 A sedimentary sandstone found in abundance in New York and Pennsylvania, bluestone appeals to designers and homeowners today for its natural beauty and variety. It’s award-winning landscape architect Susan Schlenger’s favorite stone. 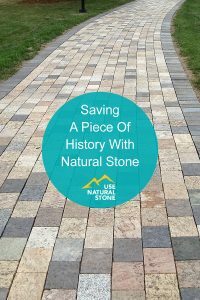 “The best thing I like about it is that it’s natural stone, rather than a manmade product like concrete pavers,” said Schlenger, who also uses the stone for walkways, steps, and coping for landscape walls. 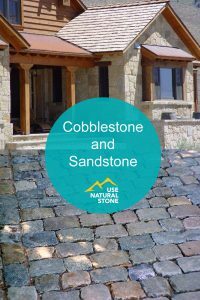 “It’s beautiful and versatile and goes with many types of homes. If you have a painted house, it goes with all colors. 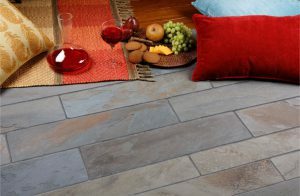 It also looks great with brick or stucco.” A big part of bluestone’s appeal is its variation in color and texture. “If you’re looking for a stone that has different colors and character in the texture, you can get it. 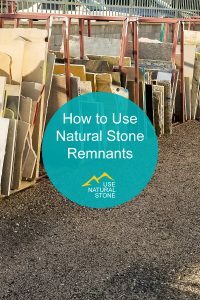 If you’re looking for a monotone color and uniform texture, you can get that, too,” said Bill Mirch, who along with his brother Rich owns Tompkins Bluestone, which was passed down to them by their father. Photo courtesy of Tomkins Bluestone. How can the same stone be both colorful and rough-edged or smooth and monochromatic? The answer lies in the way the stone is processed. Natural cleft bluestone is split with a hammer, wedge, and chisel along its natural seams into pieces two to four feet wide. It has a rough, somewhat uneven surface. “Architects love natural cleft because it has character and you can see the grain of the stone,” Mirch said. 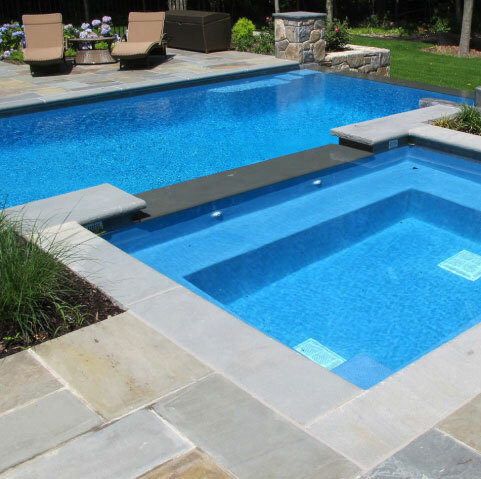 It’s also a good choice for pool patios because the rough finish prevents slipping. The layers of stone provide a wide palette of colors, created as glaciers receded millions of years ago. They exposed outcroppings to freeze-and-thaw cycles, allowing water laden with multicolored minerals to seep in. Today, architects and designers can choose from among five color ranges: blue/blue-gray; earth tones of green and brown; lilac or lavender; gunmetal brown; and rust, which results from iron. Photo courtesy of Tompkins Bluestone. To create a more finished look, denser varieties of bluestone are sometimes put through a spalling process, in which they are cut along horizontal sections, soaked with water, and then heated with a propane and oxygen torch. The result is thermal bluestone, which is uniform in color and texture. Many designers, including Schlenger, prefer its smoother finish. With the exception of gunmetal brown, thermal bluestone has the same color variety as natural cleft. The difference is, individual stones are the same color, rather than containing a variety of hues. 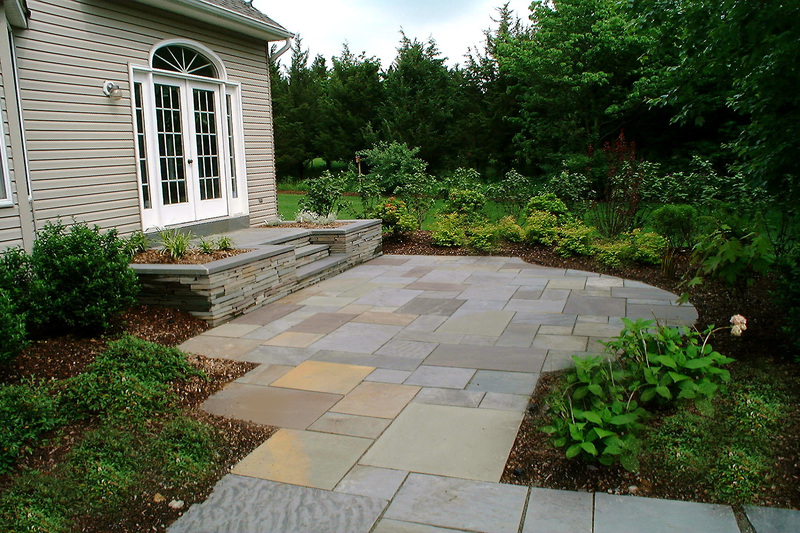 If you like large stones, bluestone is a good choice. Because it contains fewer fissures or cracks than other stone, it can be cut in large sections. 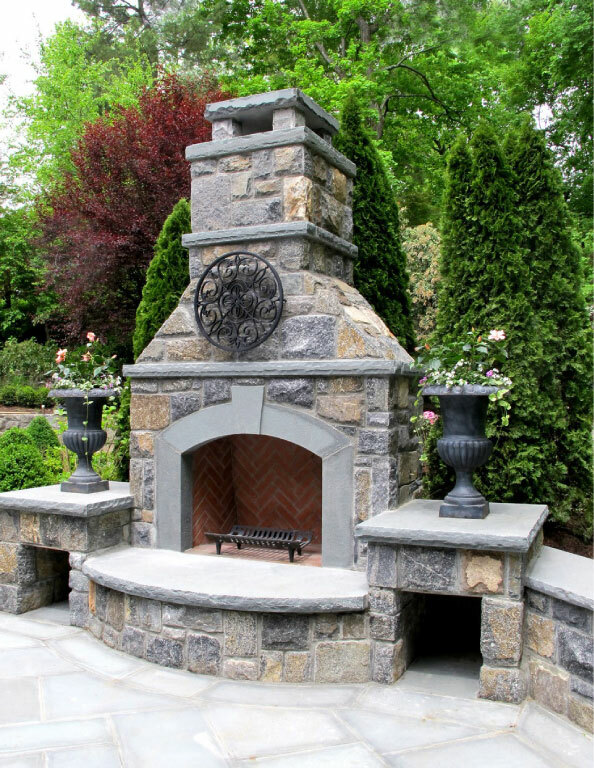 “We can produce pieces that are 10-foot by 10-foot in natural cleft stone,” Mirch said.